Last Updated: April 17, 2019 · Published: March 5, 2018 By: Asian Caucasian 2 Comments This post may contain affiliate links or sponsored content. Scallops are an all-time fave in this house. Not only are they so easy to cook, but they are deliciously sweet and succulent! 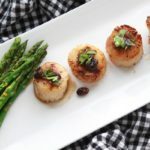 Our Seared Sea Scallops with Black Bean Sauce is terrific for even the seafood-recipe novice, and this entire dish is ready in under 30 minutes! Using a heavy cast iron pan is best to sear up these juicy scallops. We used TransOcean’s dry Wild Japanese Hokkaido Sea Scallops. 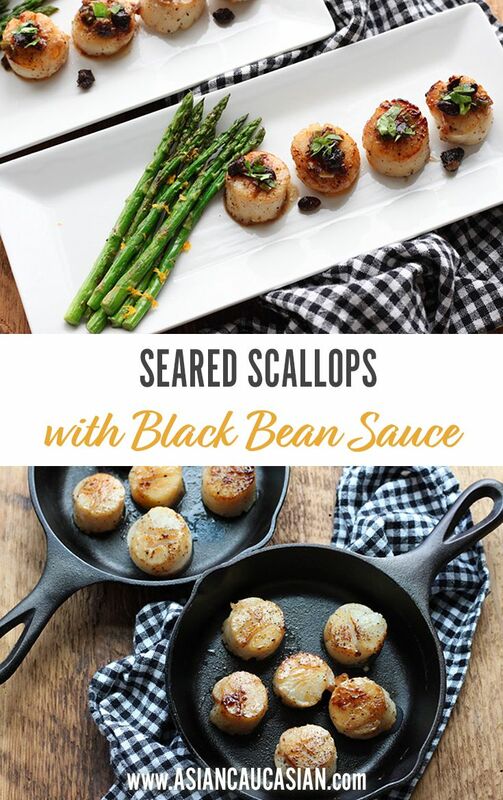 Asian black bean sauce is the perfect drizzle for the scallops with it’s salty tangy flavor. Serve this with a delicious side, like our Easy Grilled Asparagus Spears. This recipe makes a great appetizer as well! Thumbs up! Black bean sauce is the perfect drizzle for these plump, delicious sea scallops. 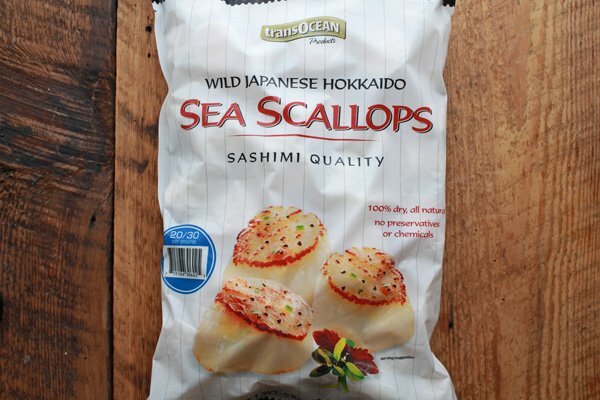 TransOcean’s Wild Japanese Hokkaido Sea Scallops are so sweet, succulent and delicious! 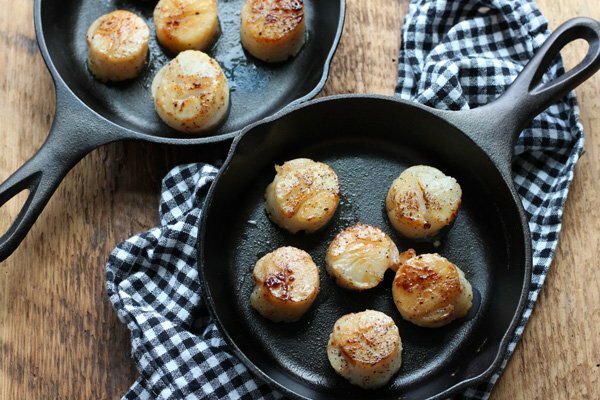 Cook the scallops quickly on both sides in a heavy cast iron pan for that beautiful golden brown sear. 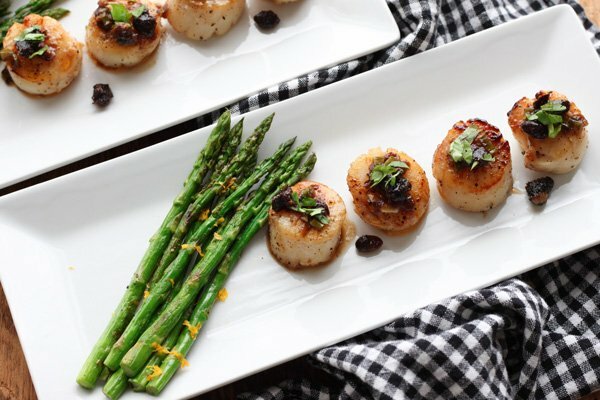 Serve the scallops with a nice side, like our Easy Grilled Asparagus Spears! Heat the oil in a small sauce pot over medium-high heat. Add the garlic and ginger and sauté until translucent and fragrant, about 30 seconds. Add in the black bean garlic sauce and stir for 1 minute. Stir in the rice wine and mirin. Lower the heat to simmer, stirring until the liquid is reduced by about half, about 3 minutes. Stir in the lemon juice and remove from heat. Season the scallops on both sides with the pepper. Heat a grill pan or cast iron pan on high. Grill the scallops until golden brown and cooked through, about 2 to 4 minutes per side. Drizzle with the black bean sauce and garnish with cilantro sprigs. Serve with grilled asparagus. 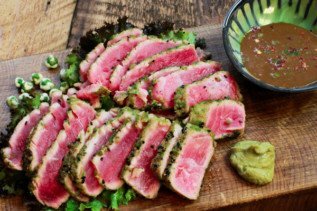 If you liked this recipe, try our Wasabi Seared Tuna. Enjoy! 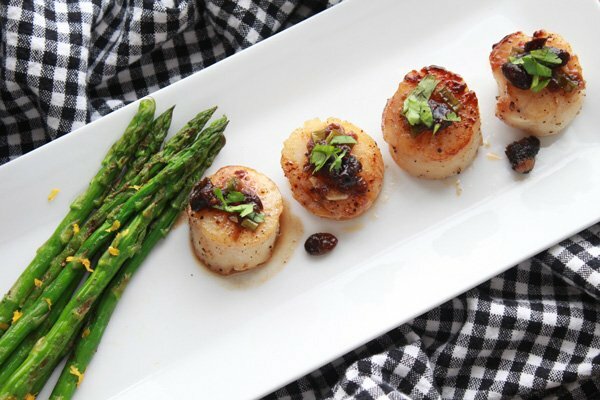 You cannot go wrong with this seared scallops recipe! It’s so easy to make!